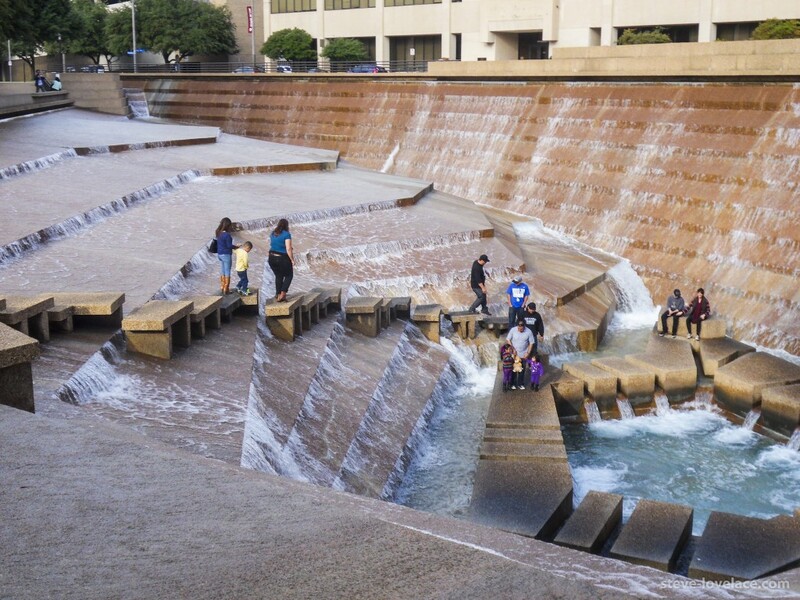 In downtown Fort Worth, Texas, just a few blocks from Sundance Square, lies a unique city park known as the Fort Worth Water Gardens. 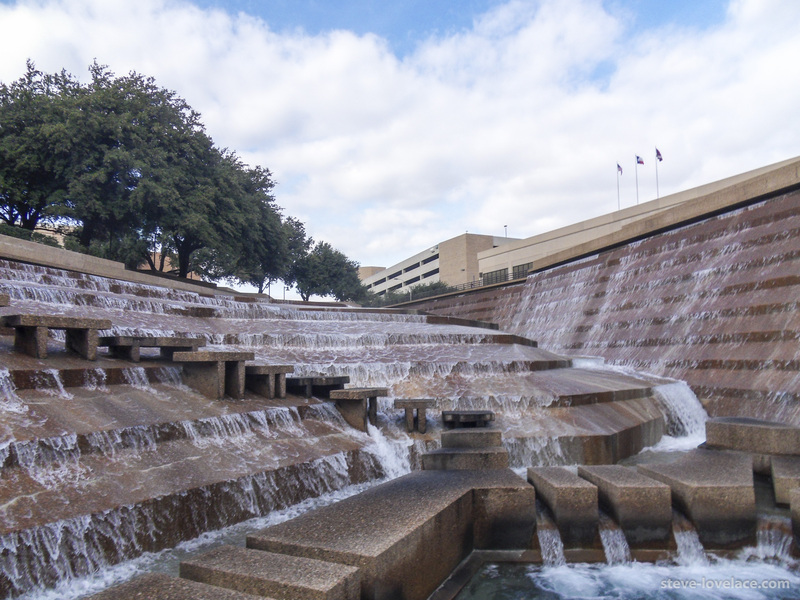 Designed by renowned postmodern architect Philip Johnson, the Fort Worth Water Gardens consists of several fountains and pools set in a concrete-lined park. I went there one sunny afternoon and took these pictures. 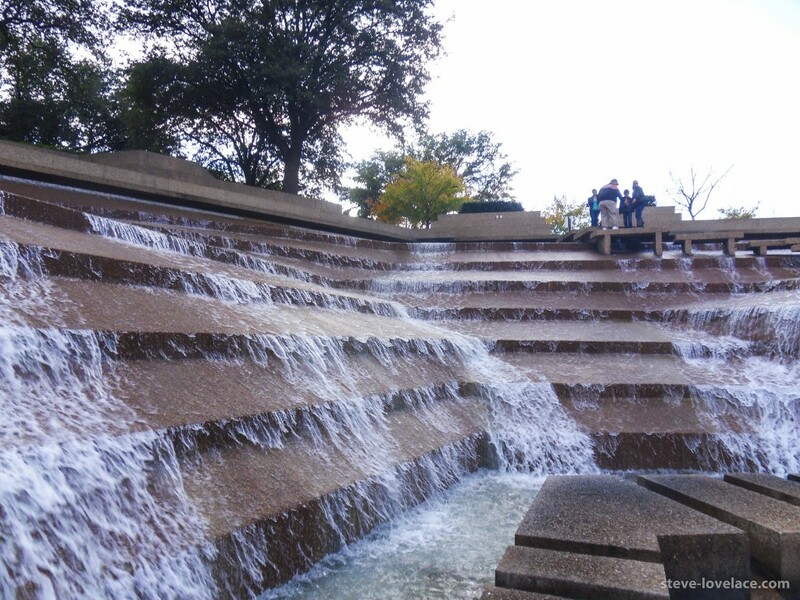 The Fort Worth Water Gardens has four main features, a concrete step pyramid that helps shield the park from nearby Interstate 30 (which ran closer to the park back in the 1970s), a quiet reflecting pool, an “aerated” pool, and the main attraction, an active pool consisting of water cascading into a recessed concrete pit. 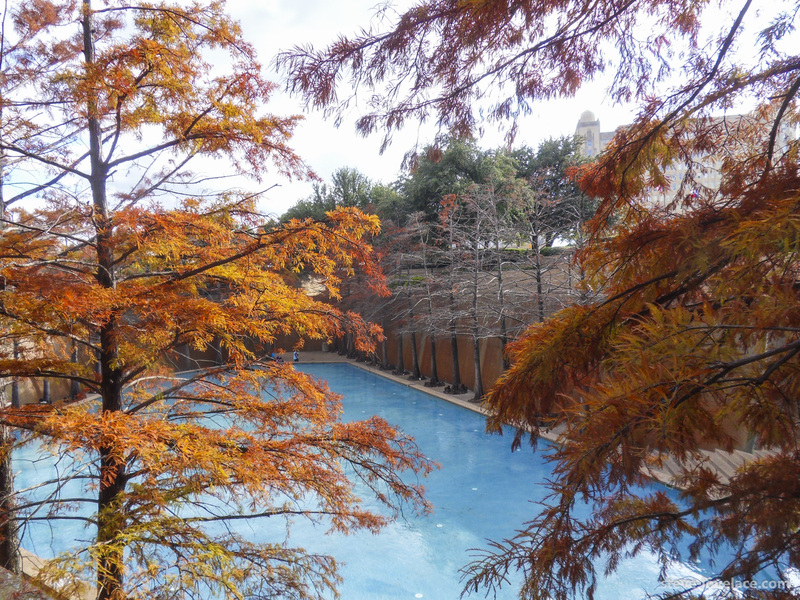 There are stepping stones that allow you to walk down to the bottom of the pool. My friends and I did, of course, and I must admit I was a little frightened. 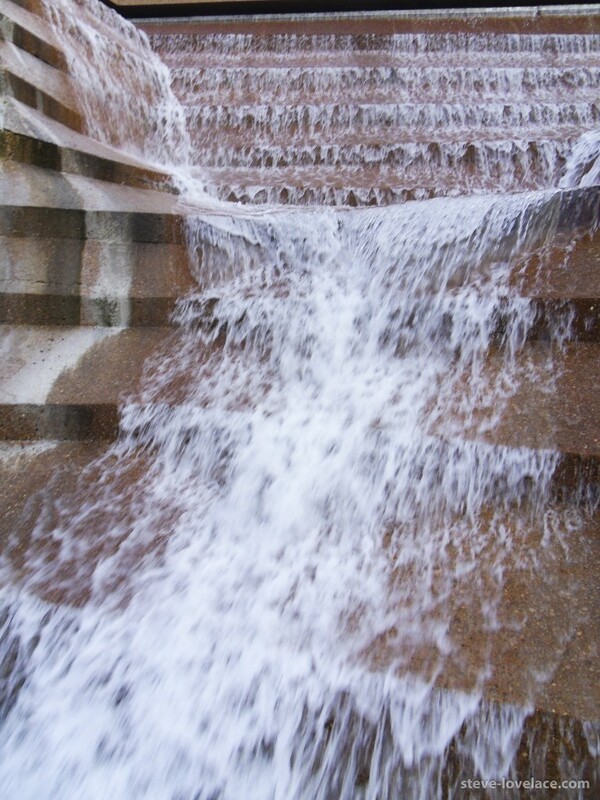 Walking down the stepping stones invokes a deep-seated fear of both falling and drowning. 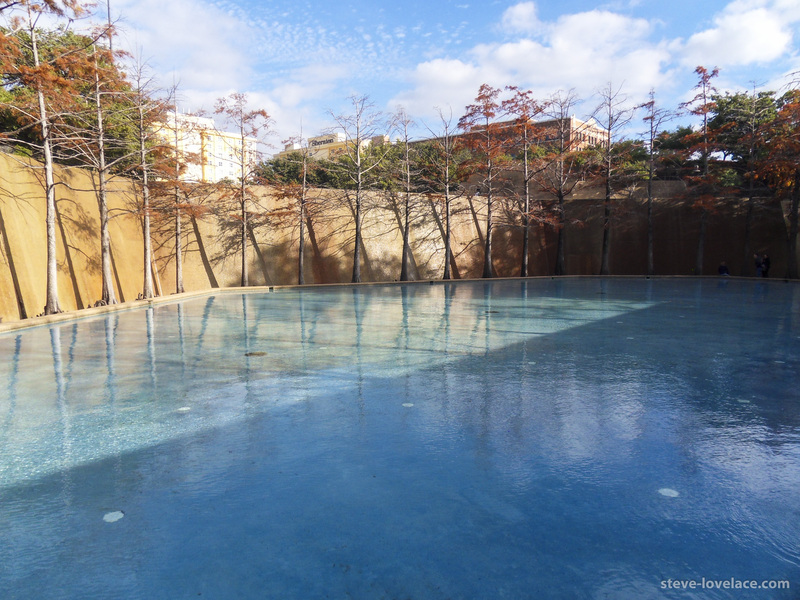 It doesn’t help that a family of four drowned there back in 2004. 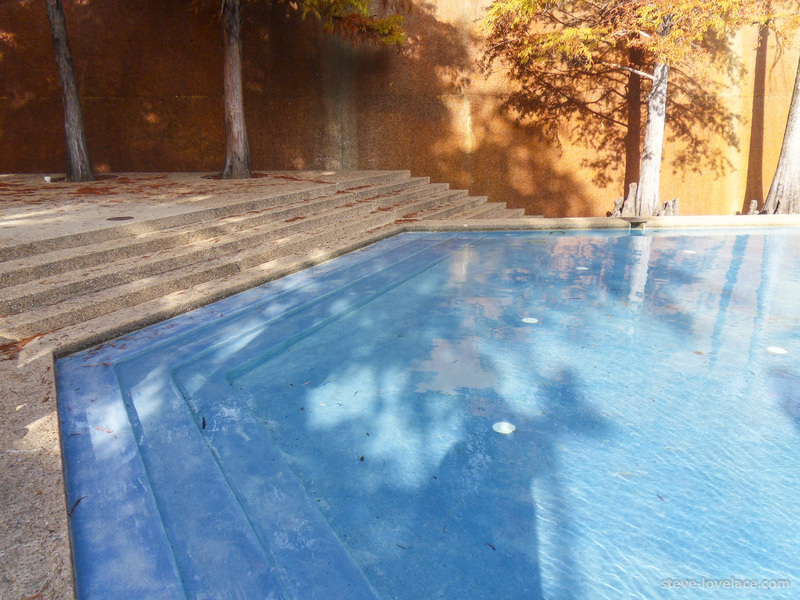 The pool at the bottom has been made shallower since then, but there remains a creepy feeling. Still, the view is amazing and well worth the effort. 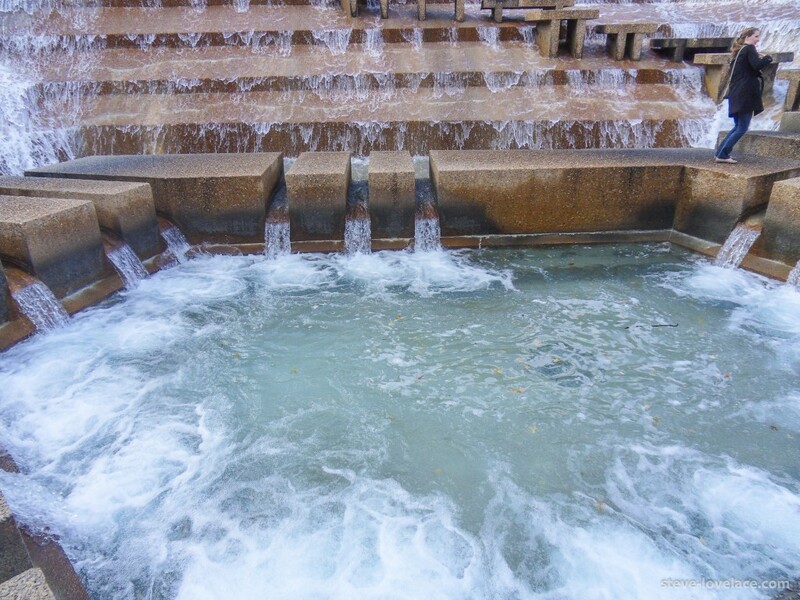 As long as you don’t deliberately go into the water, you’ll be fine. 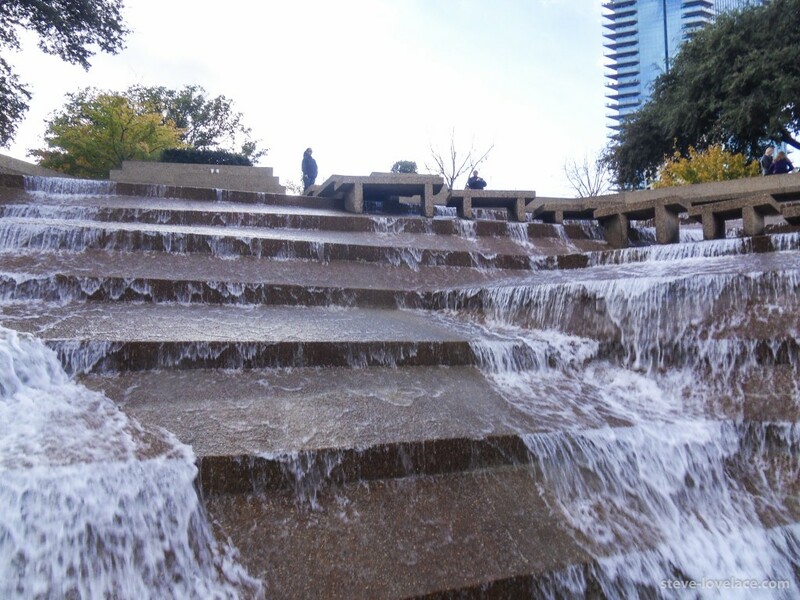 If you ever go to Fort Worth, I recommend checking out the water gardens.